Kaminari-mon is one of the most famous tourist spots in Japan. The Japanese word "kaminari" is "thunder" in English and "mon" is "gate", respectively. 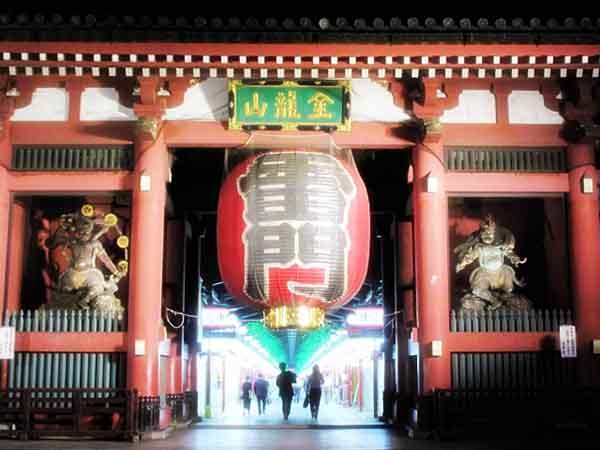 So, "Kaminari-mon" literally means "Thunder Gate", whose name derives from the statue of Japanese thunder god standing in the gate building. 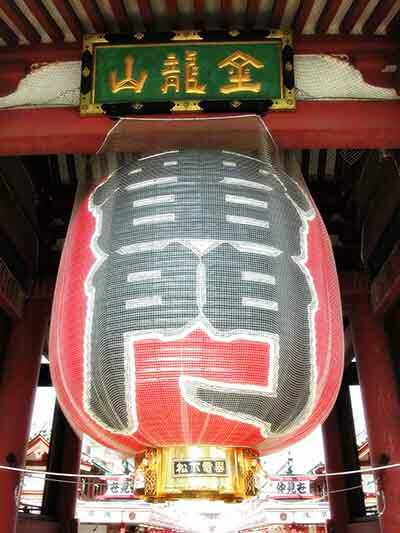 You can find two kanji characters which reads "Kaminari-mon" on the immense chochin hanging inside the gate. This chochin and the gate building itself were built by Japanese business legend Konosuke Matsushita, the founder of Panasonic corporation.